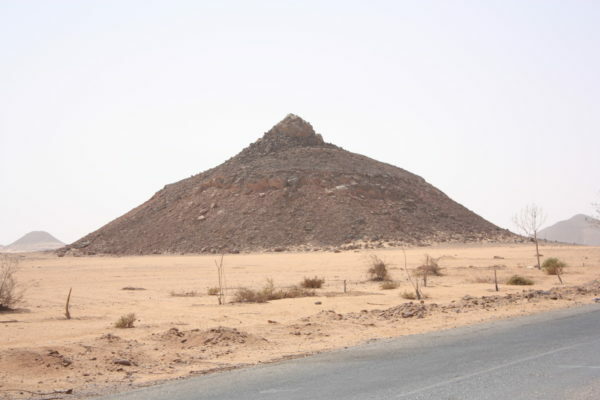 Like many traditional African religions, women played a key role in the Kemite pantheon. 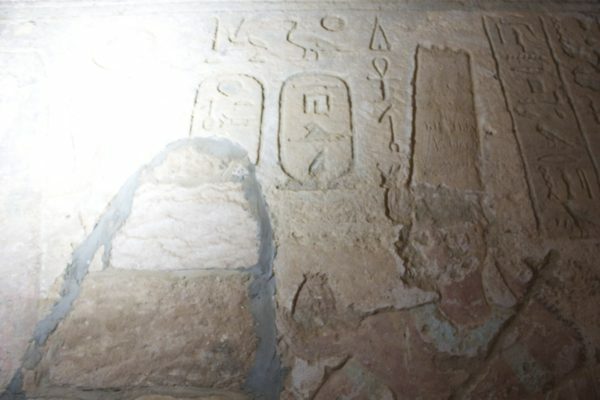 Perhaps the best known is Isis, the mother of Horus and wife and sister of Osiris, who can be identified by the throne hieroglyph on her head, which spells out her name Iset or Aset (see below). The role that gods played was often flexible and varied, depending on region for example. In the case of Isis, the goddess’ roles expanded to such an extent that in the Roman period she was given a second name to define which characteristic was being worshipped, for example Isis Pelagia was associated with seafaring by association with the lighthouse at Alexandria. 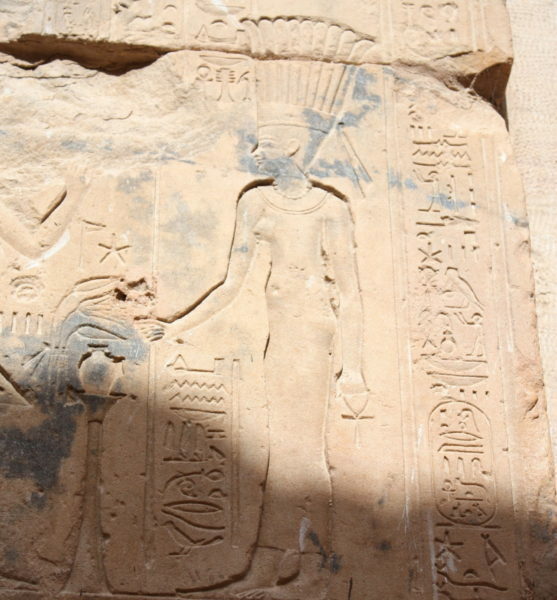 Even in traditional temples in Egypt, the goddess’ crown was adapted during the Ptolemaic period (332-30 BCE); she wore a sun disk and cow’s horns (see below). 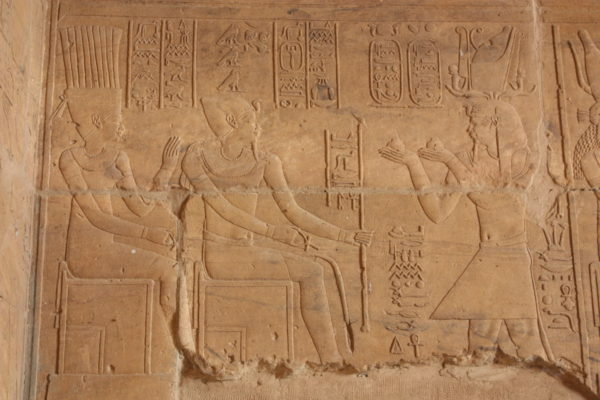 The last Cleopatra took the title ‘New Isis’, presenting herself as a living embodiment of the goddess from the middle of her reign, and appearing in the image of the goddess at a temple in Rome (below). 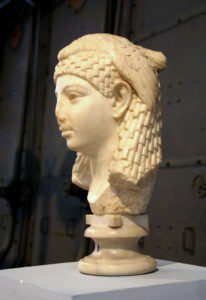 Goddesses, and divine royal women, often wore a vulture headdress. You can see this on the relief above and on the statue below. Many people have heard of Isis. However, there are a number of less well known deities. 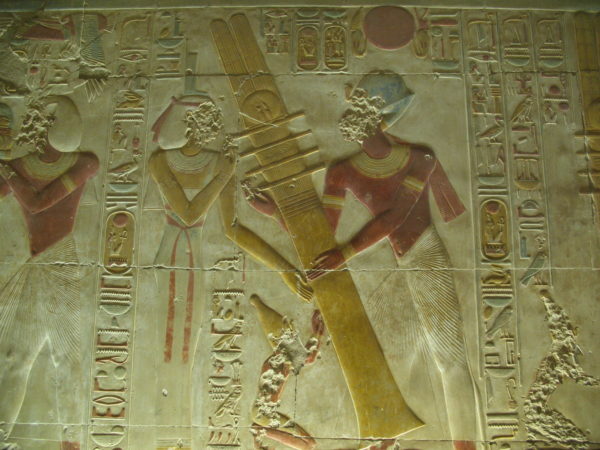 One of these is Anukhet (above). 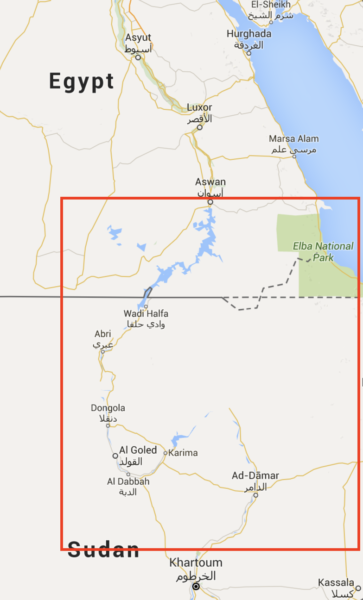 Anukhet was the daughter of Khnum and Satet, who were gods from the region we now call Nubia. 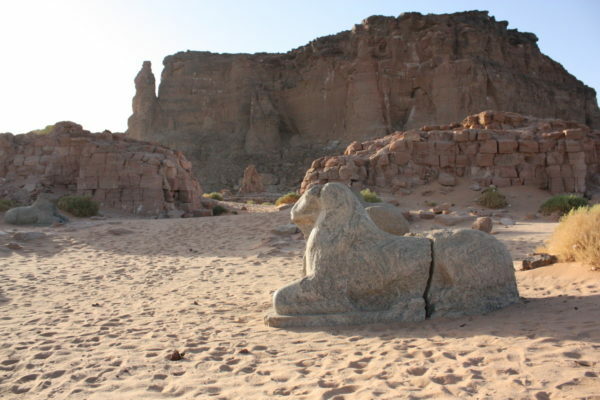 Khnum, who was from the New Kingdom presented as a ram-headed god, was seen to be the guardian of the source of the River Nile at Elephantine. He was also powerful creator god; the potter’s wheel that represented him is a reference to the idea that he created children from the clay of the river. 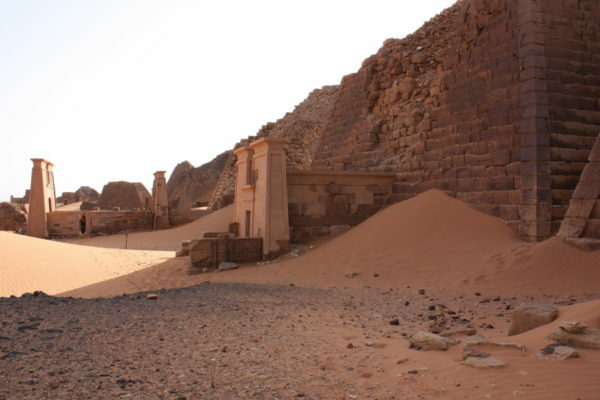 It was this aspect of Khnum that was celebrated at his cult centre in Esna. 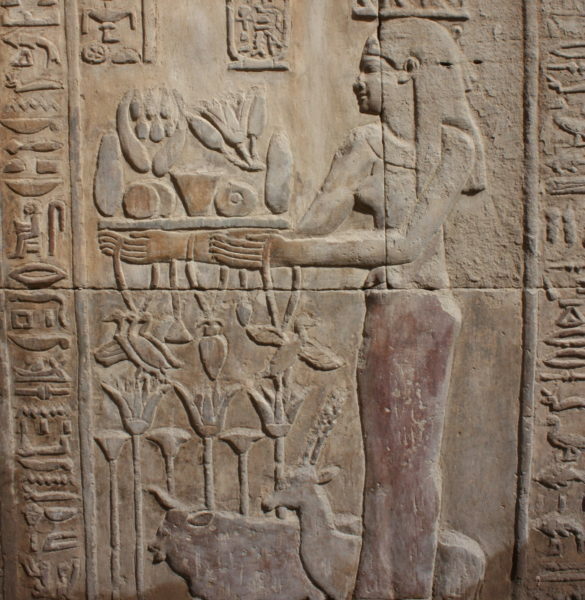 Satet, her mother, appeared in the form of a human and was identified as the giver of water, which she presented to the deceased as purification. 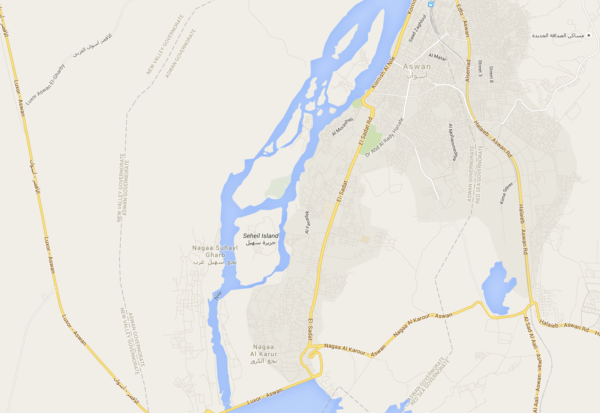 Her cult centre was Elephantine, in modern Aswan. 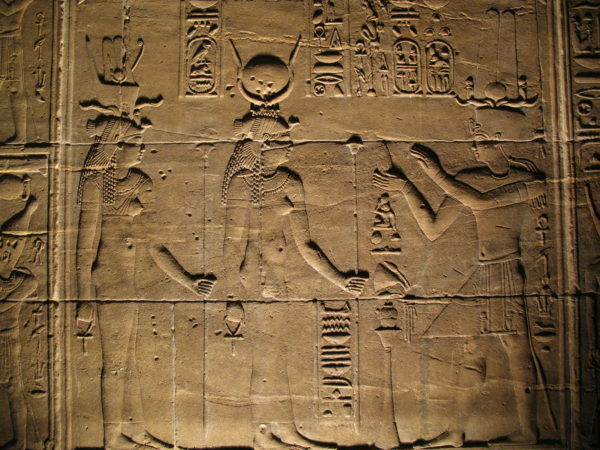 Anukhet, therefore, was the offspring of two powerful parents. Like her mother she appeared in the form of a human, but can be distinguished from other goddesses by the headdress she wore, which was made of feathers. Although human in form, she was associated with the gazelle. 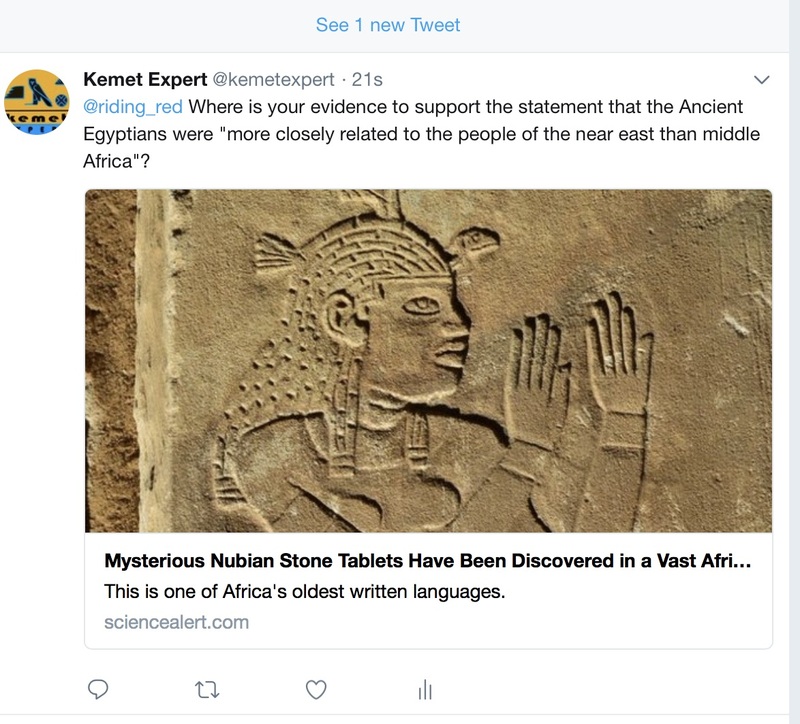 A reminder that many of the animals of Kemet, that are no longer found there, are those that we associated with other African countries further south. 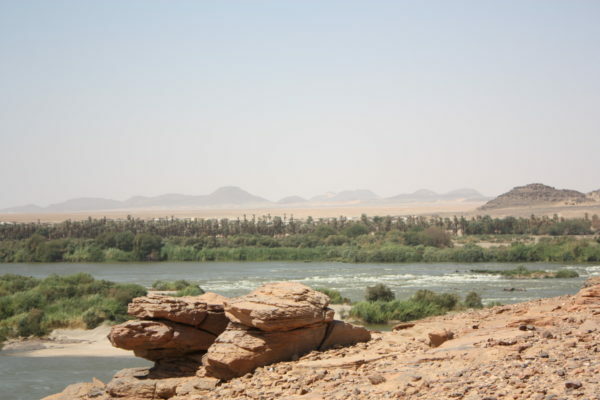 Anukhet was primarily associated with the River Nile, and the annual festival that celebrated her powers involved worshippers dedicating precious items by placing them in the river. 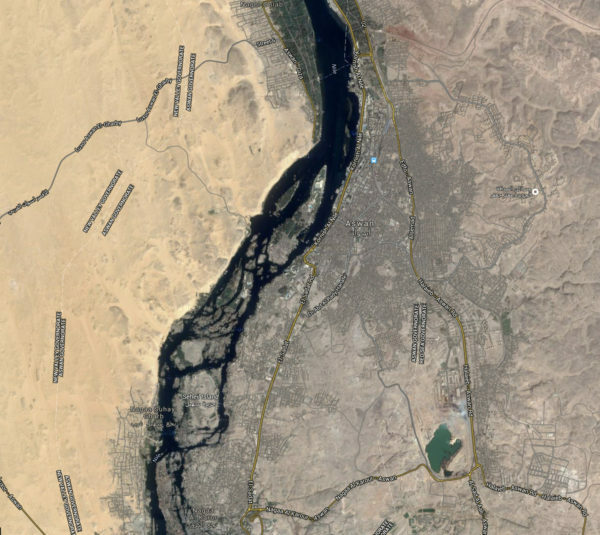 The cult centres for Anukhet were on the Islands of Seheil and Elephantine, which are in the modern city of Aswan (below). 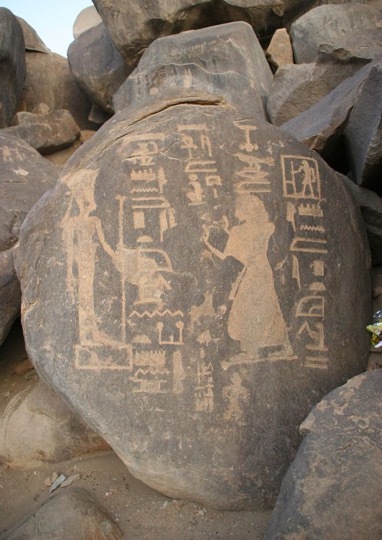 On the Island of Seheil, the goddess appears on a number of rock cut inscriptions, left by Kemite officials from the New Kingdom who were travelling further south (below) and who made offerings for protection. 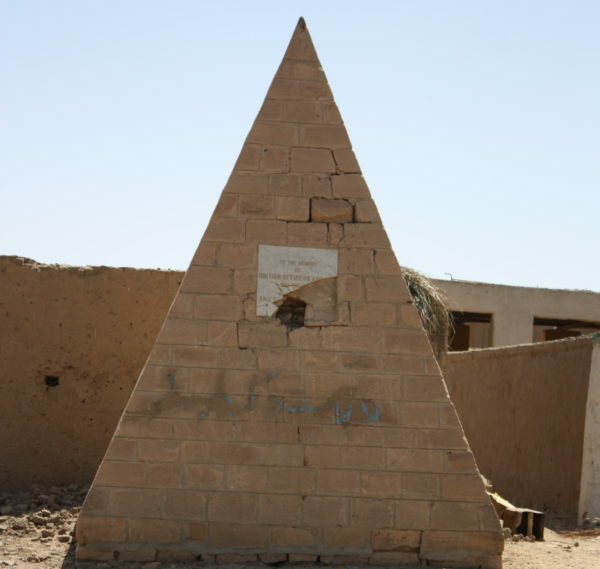 She also appears on temples further south, including a number in Kush. 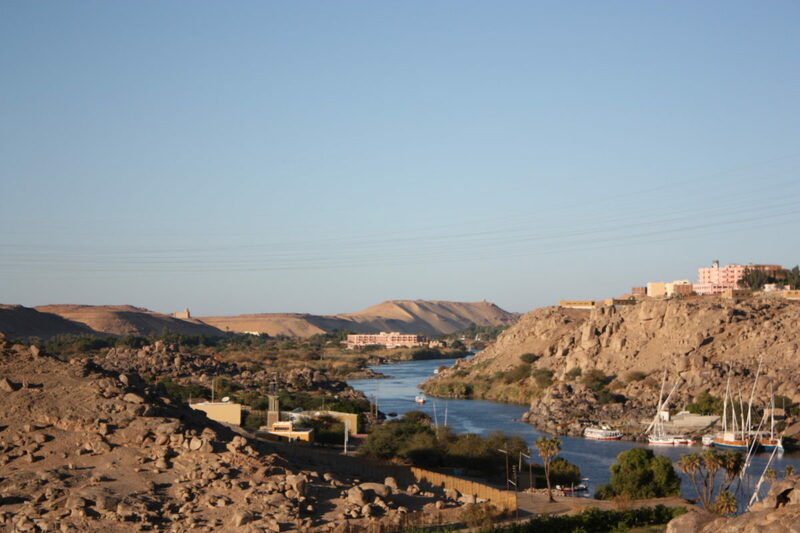 There are a number of traditional Nubian villages in and around Aswan, on both the islands and the banks of the River Nile (see above). 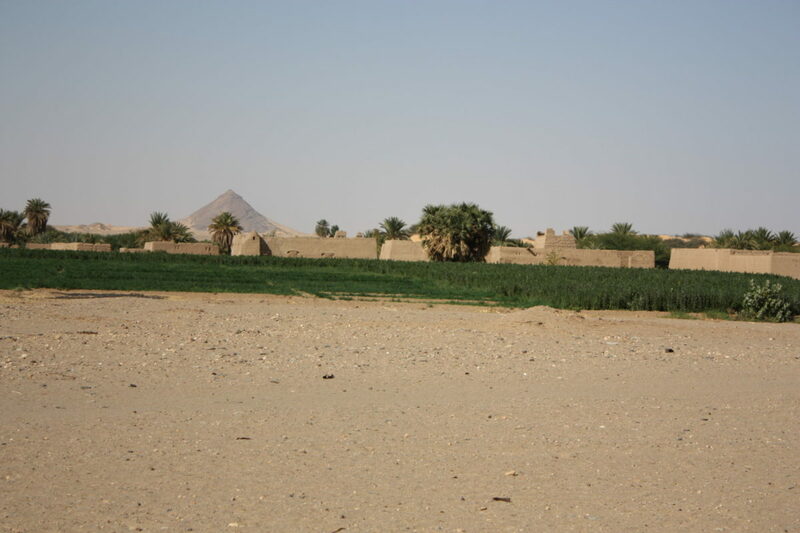 These settlements and communities have been one of the few cultural sites in Egypt that have openly recognised the region’s connection to indigenous African cultures. 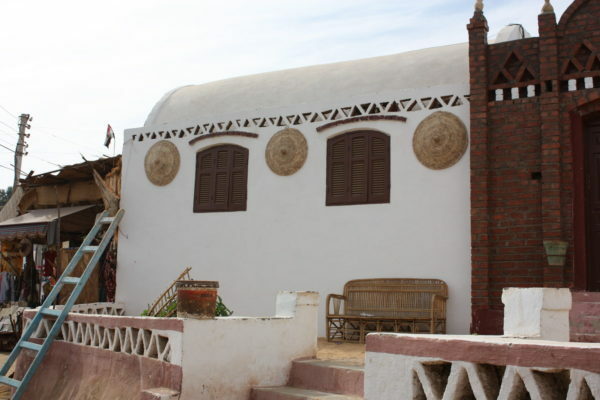 In order to preserve the peace and tranquility of these long-standing communities, the Elders and the then Director of the Nubia Museum in Aswan decided to designate a site as the official heritage village for tourists. 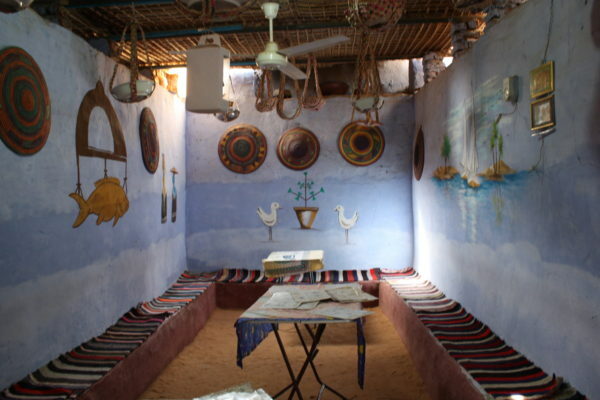 The traditional houses are decorated in bright colours and with items that are relevant to traditional Nubian culture. 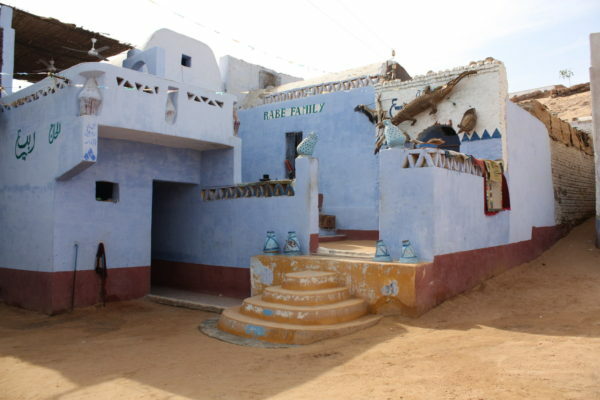 On one example that was built by the Rabe family (above), even the water pots are painted to match the exterior of the houses. 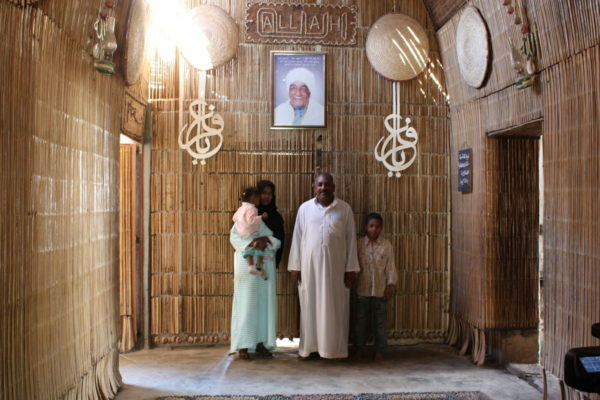 Inside, traditional Nubian basketry decorates the walls, accompanied by symbols of foliage, fish and representations of the River Nile. Such symbols have been used as decorative and protective motifs in this regions for thousands of years. 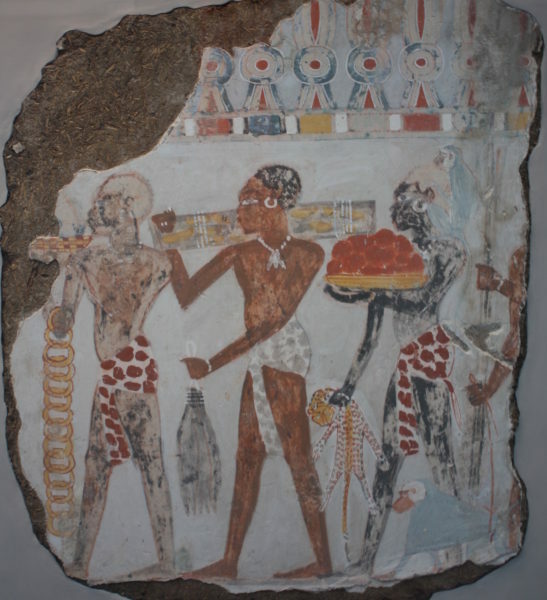 In ancient Kemet fish were often depicted in tomb scenes where the deceased hunted for food. 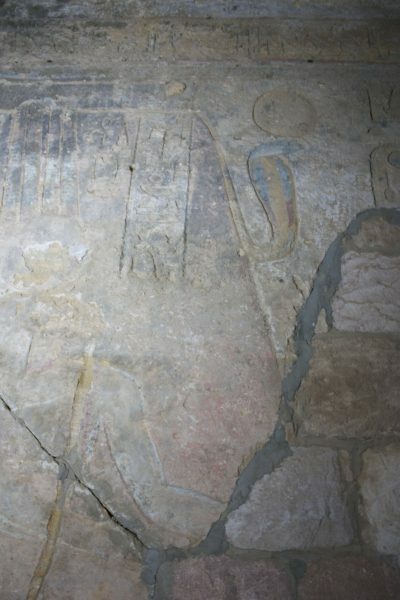 Depictions of plants associated with river Nile often appear on Kemite temples as offerings (below) or as a reference to the annual inundation (flood) and the fertility of the Black Land. 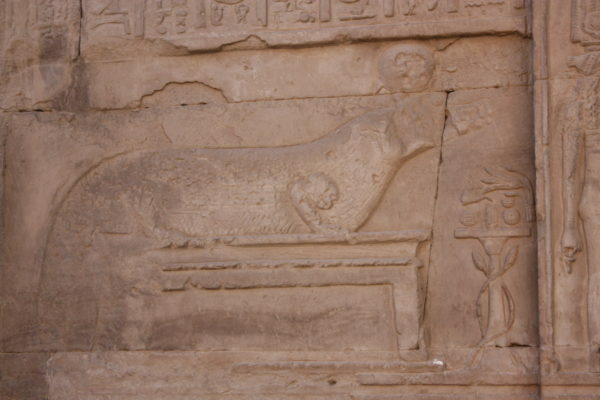 The Kemite god Sobek was represented as a crocodile (see above). 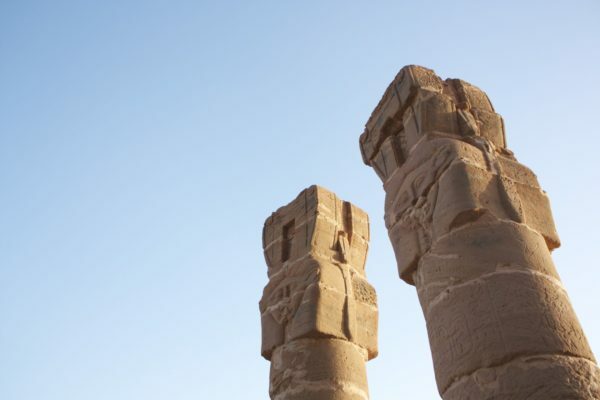 In his interview Dr Abdel Meguid talked about working at the Temple of Sobek at Kom Ombo and the importance of this experience in him becoming an archaeologist and museum professional. 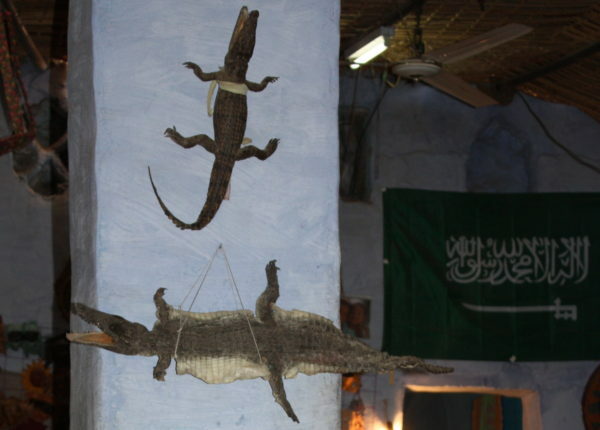 Many traditional Nubian homes are decorated with crocodiles (see above) and in the case of the Rabe family home, there was even a live crocodile in a cage in the main room! Although this is largely done for the benefit of tourism, the representation of this animal is nonetheless a tradition that goes back thousands of years. 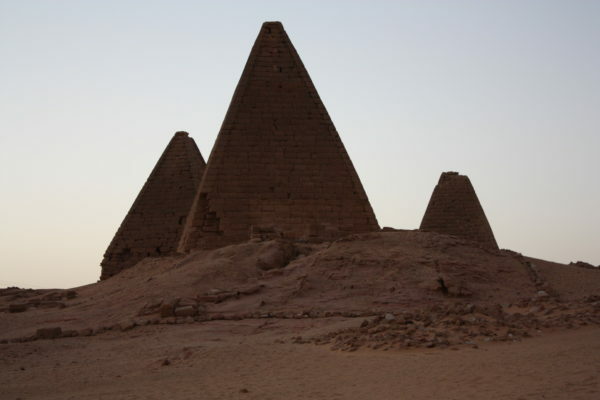 When Herodotus, the Greek historian, visited Kemet he talked about being confused that the Egyptians, as he called them, on the one hand worshipped crocodiles but on the other they ate them. Basketry is also a traditional craft in this region and indeed in many other parts of Africa. Nubian baskets are made from locally sourced materials, such as reeds from the river Nile and are effectively no different to examples that are 3000 years old. Baskets are used to cover food, serve food and also store food. On the photograph below you see traditional spiced Nubian coffee being made on an open fire. A flat basket was used to grind the coffee and cardamon pods before placing them into a small container with water to boil. 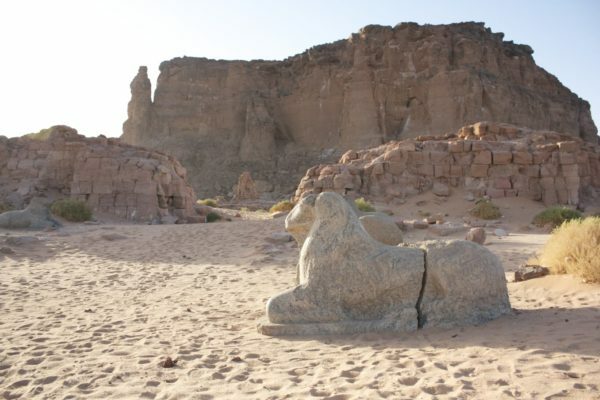 In 2011 I interviewed the then Director of the Nubia Museum, Dr Ossama Abdel Meguid. 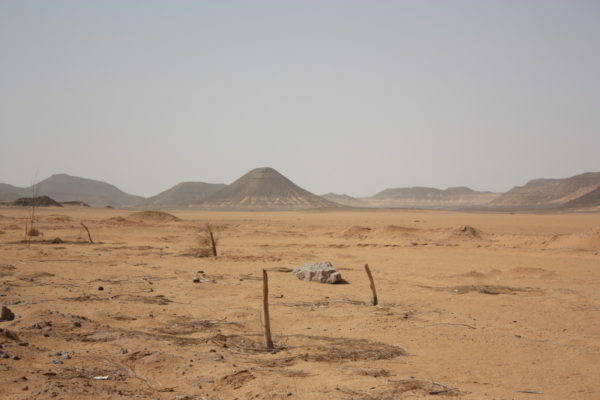 He shared his own experiences, as a person of Nubian heritage, of interacting with the Kemite past. 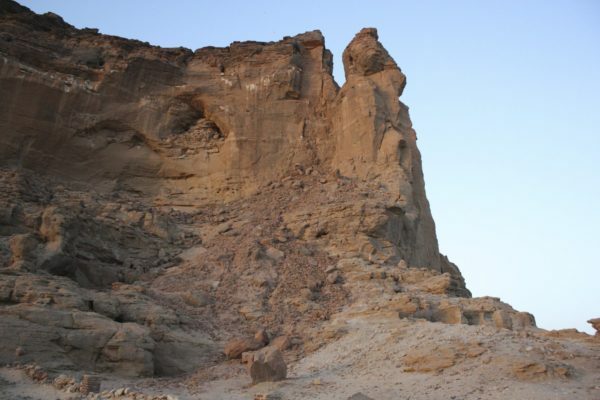 Dr Abdel Meguid has worked tirelessly to preserve Nubian heritage and to connect it to the past. 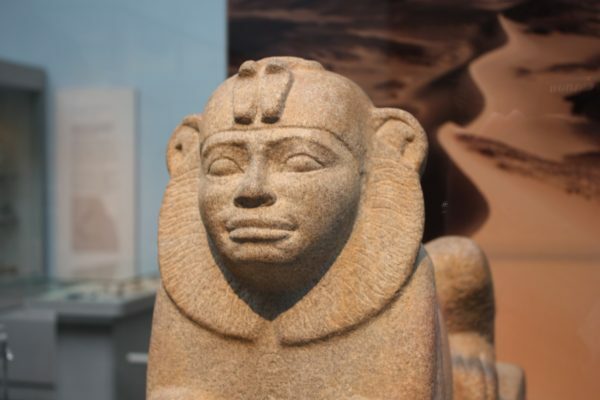 I have certainly learned an enormous amount from him, both in terms of understanding Nubian culture and how we should present indigenous cultures in museums. 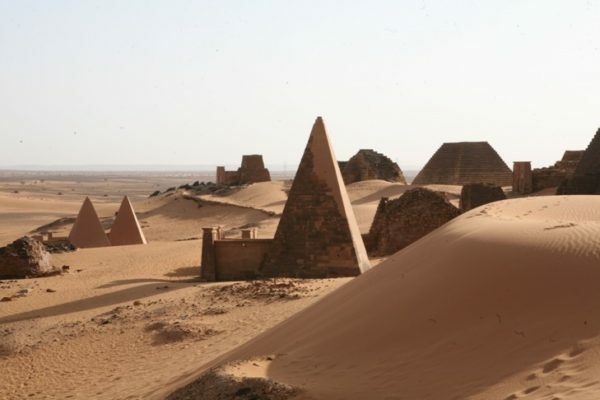 In the interview he talks about the importance of consulting with Nubian communities directly about how they wanted their heritage to be presented. 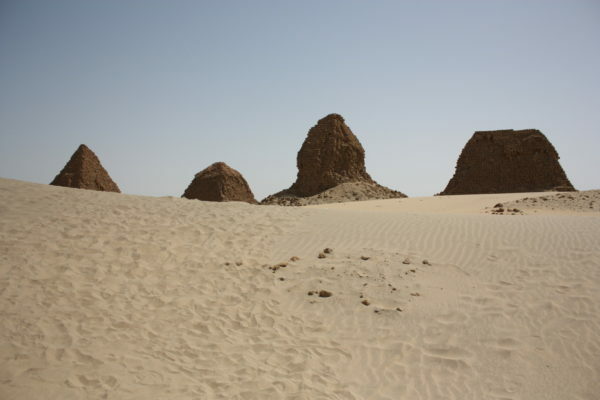 He also explains how the Nubian people have lived in this region for the past 10,000 years and how Kemite culture came from the south. 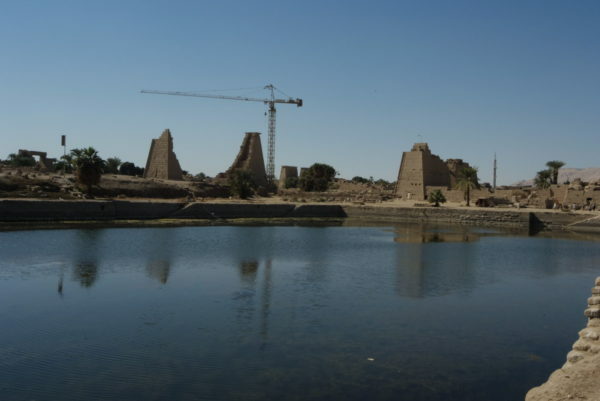 He also talks about the negative impact of the Aswan Dams on Nubian culture and heritage. 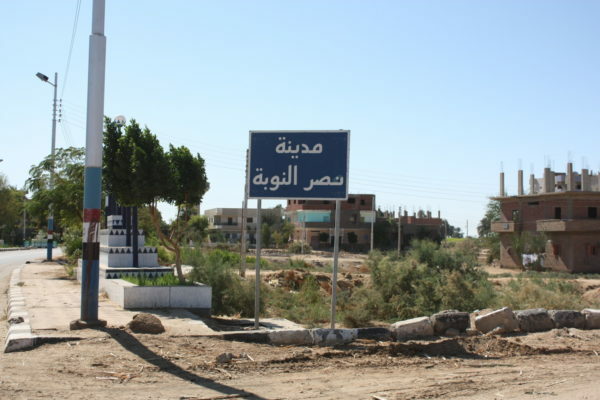 In fact it was a conversation with Dr Abdel Meguid that inspired an earlier post. 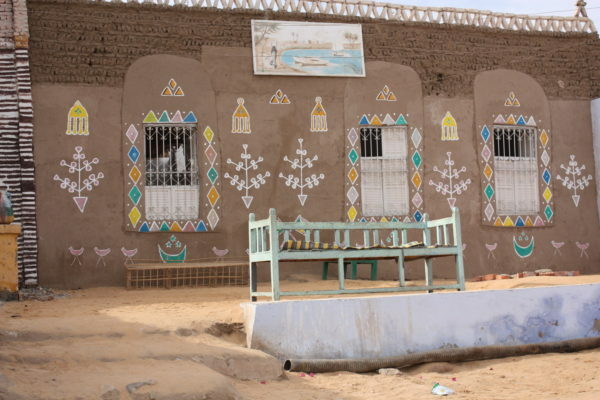 I asked Dr Abdel Meguid why the tradition of decorating Nubian houses (above) appeared to be dying out, and he explained that since being moved after the building of the Dams, many people feel disconnected from their heritage and their past. 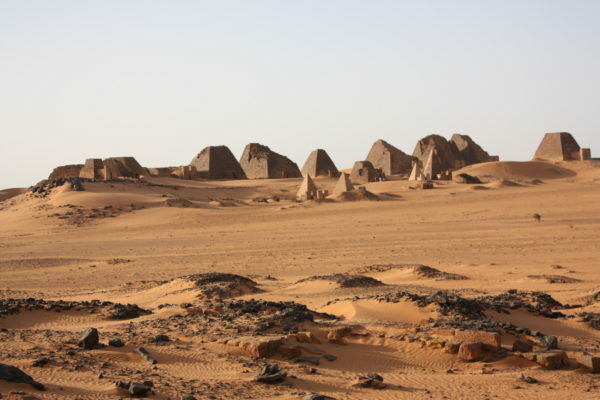 This observation makes projects such as the Nubian Heritage Village even more relevant. Such initiatives help to preserve the past, and present, for the future.